Nelson and Colne College is ready to welcome prospective Year 9 and 10 students through its doors at an Open Event on Monday 30 April. Those who are starting to think about their options after secondary school can come in and explore the opportunities at NCC, including finding out more about what College life is like and discover which course or programme is the best route forwards. The college has a broad range of A Level and vocational courses, as well as a strong Apprenticeship offer, and these will be showcased between 5.30pm and 7.30pm. Attendees will be able to speak to expert staff, take part in ‘have a go’ activities, tour the college’s state-of-the-art facilities with student ambassadors, and find out about the travel and support options available. There’s also chance to benefit from one to one support with your College application too. Niall Valentine, 19, formerly of Park High School, achieved D*D*D* in Uniformed Services while at NCC and is now studying Criminology at Lancaster University. 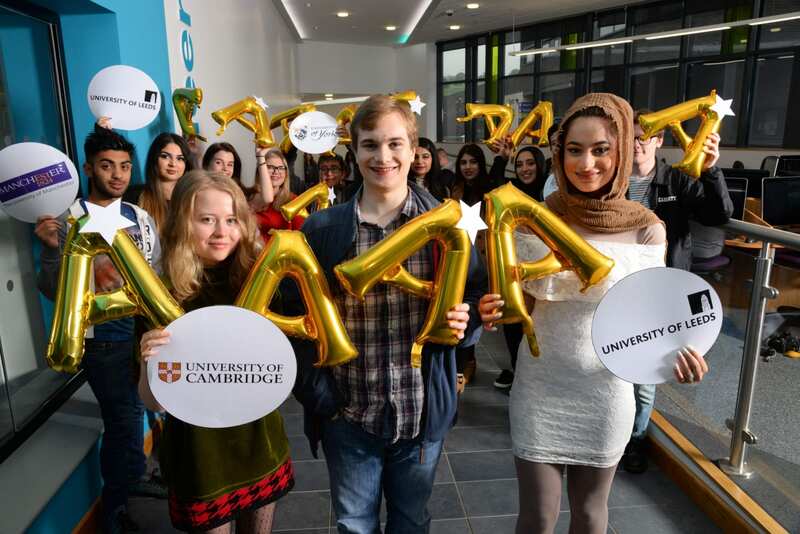 Students will also have the chance to explore the college’s extensive and constantly-evolving extracurricular programme which ranges from Career Skills, Life Skills and unique Pre-Professional Programmes through to Creative Arts, Sports and Volunteering. One of those students taking advantage of the extracurricular offer is Biology, Chemistry and Maths A Level student Safeena Minhas, 17. In its 2016/17 results, NCC achieved a 99.7% pass rate at A Level and a 100% pass rate in vocational courses. The college is top in the country for 16-18 learner achievement at all levels, number one in the country for A Levels, based on progress scores, and the number one college in the country for overall Apprenticeship achievement at all ages and levels.